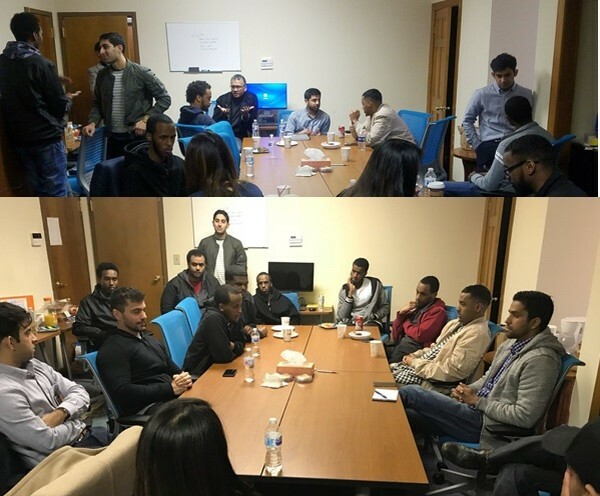 OPEN Atlanta and Sagal Radio partnered up to provide mentorship services to college and masters students from the Clarkston community. The session started with a story from Armir Harris, an Albanian refugee whose family immigrated from Albania to Atlanta as political refugees seeking asylum. He told his journey which detailed his path from a homeless shelter all the way to growing a $12 million logistics business. The session continued with, Aasem Khan, who discussed the difference in academic success and career success, and how many smart students are shortchanged by the higher education system on how to strategically prepare for a career. Finally, the students were able to get 1:1 mentorship from many of the OPEN Atlanta professionals on how to navigate their next steps once they graduate. Please follow OPEN Atlanta’s Facebook page for updates on future events. Please email OPENATLien@gmail.com if you would like to serve as a mentor for this mentorship series in the future or if you would like to participate as a mentee. Founded in 2011, OPEN Atlanta is a non-profit dedicated to leadership, entrepreneurship and professional development amongst its members and their connected communities. OPEN Atlanta’s key pillars are to “Connect, Develop and Inspire”. Since 1998, Sagal Radio, the nonprofit voice of new Americans, has broadcast news and information programs by radio and more recently by cellphone and online to help newcomers understand how to be safe, healthy, and productive in their new homeland. We speak the languages of newly arriving refugees (Somali, Afaan Oromo, Arabic, Bhutanese) so they immediately have a trusted source of information covering safety and health; citizenship; education and employment; community services; and community events. We simultaneously promote English language learning to remove the greatest barrier to participating in American life. Our listenership of 40,000+ spans metro-Atlanta and is global online. Our state-of-the-art recording studio is located in Clarkston next to City Hall well-served by MARTA, making it ideally situated for this project. Sagal Radio was founded and is led by Hussien Mohamed, who came to the U.S. as a refugee from Ethiopia. He also served for 8 years as refugee partnership coordinator for Emory University. With 20 years of experience in immigrant media and project management involving coalitions, and 2009 Bank of America Hometown Hero.